Escaping from them had been difficult enough, now Laney needs to keep hidden. All she wanted was to be on her own. Laney is not like other girls... she has very special abilities that set her apart from others. How or why she came about these abilities is a mystery she has yet to unfold. Haunted by memories and flashbacks of the suffering she endured at the hands of her captors, she changes her appearance and hides out in a small town. Ignoring her own warnings, she begins a relationship with a local boy. A young doctor's interest is piqued when he witnesses her mysteriously curing a young child's illness. He befriends her due to his growing fascination with uncovering the true nature of her abilities, but not without harboring secrets of his own. Human Blend really grabbed my attention from the beginning. It is very fast paced and the plot takes many twists and turns. I had no idea what was going to happen next! The main character, Laney, who changes her name to Julie, is seeking the normal life she never had, but ends up uncovering more mysteries about herself and the doctor she befriends than she could have imagined. Besides the fact that there was a lot of information about Laney/Julie’s life that was thrown at the reader, I never felt like I was reading any info-dumps, Lori Pescatore did a great job of incorporating the information into the book without just taking paragraphs to describe one particular thing. My one big vexation with this book was the typos. I don’t mind if there are just a couple, but there were just enough that I found it distracting. Despite that, the story and characters were so engrossing that I did not think I should lower the rating at all. I would recommend this book to fans of Urban Fantasy, and if you have a hankering for romance, this would be a good title to check out as well. 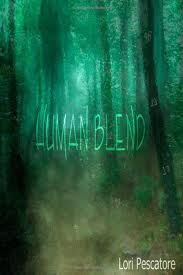 Human Blend is a great YA Fantasy read and I will definitely be continuing on with the trilogy. 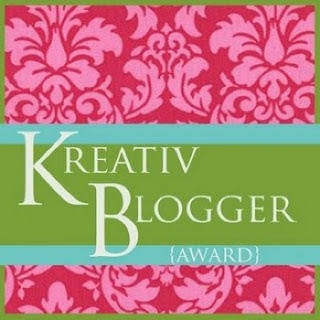 The rules: link back to the blogger who awarded said award. Done! Provide ten facts about myself…not done. And pass it on to six people. Well! Here we go. 1. I went to the Hunger Games premiere at midnight and I would go to the theater and see it everyday until it came out on dvd if I could! 2. When Suzanne Collins came to do a book signing in my town, I got to the store an hour before it opened so I could be first in line. 4. In my spare time I usually always read (shocker right?) But I am about halfway through a rough draft of a novel that I have been working on for... a long time. 5. The four types of pets that I have never had that I would want if the pet fairy came to my door would be: a pug, a pot-bellied pig (or a royal dandy), a hedgehog, and a turtle. 6. I am a huge fan of LOST and Firefly and am still really sad that they are over/cancelled, but currently am hooked on Downton Abbey. 7. I think Victorian England and a parallel reality where machines are made out of clockwork rivals peanut butter and chocolate for the best combination ever invented. 8. I have an obsession with movie scores and movie trailer scores. 9. When I was four years old I told my mother that I wanted to be a bookworm. 10. My horoscope is Sagittarius. 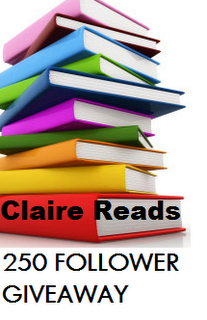 Hunger Games Read-Along Chapter Twenty-Seven and giveaway winners! To be honest I had forgotten how the first book ended, and felt a little crushed. I can totally picture the face Josh Hutcherson *excuse me* Peeta makes when he puts 1+1 together and realizes Katniss has just been playing along the whole time and isn't actually madly in love with him! I am sure most of you now know this, but in case you hadn't heard, the companion soundtrack to the Hunger Games just came out! From the songs I have heard, it is amazing, and I can't wait to hear the score as well! (I am a total movie score nerd). And now I believe I have some winners to announce! (winners were selected through Random.org). The winner of the ecopy of A Little Magic by Valerie Gillen is lpcoolgirl! The winner of the copy of Mortal Obligation by Nichole Chase is books 4 gr8! The chapter post for chapter 26 in the Hunger Games read-along is over at The Bookaholic! 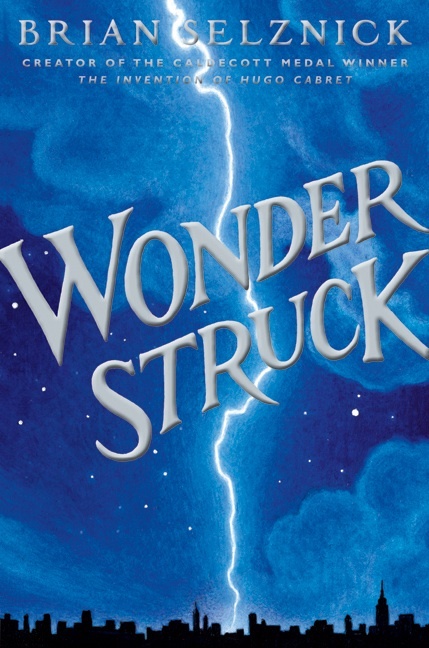 The best book that I read in the last month was probably Wonderstruck by Brian Selznick. Selznick is such a master story-teller and always original with his combination of illustrations and text. And because so much of the book is pictures, one could easily read in one sitting, but that doesn't make it any less potent. 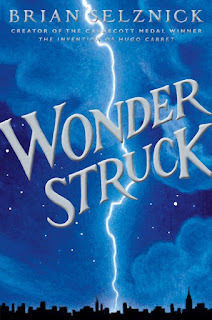 If you haven't read Wonderstruck yet you really need to, I promise it will be worth it! I haven't read any bad books this month, but one that I didn't like as much as the others was probably Crossed, which I just finished on audiobook. I think the thing that bugs me the most about this series is the cookie cutter YA love triange. I am not a very love triangle -y person, I mean I have my exceptions *cough* Katniss-Gale-Peeta *cough* Tessa-Jem-Will *cough*, but I think that there are more ways to have your character have romantic tension without it be a triangle, you know what I mean? The chapter post for chapter 24 in our read-along is over at Death Books and Tea, but sure to check it out! 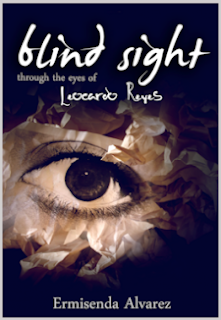 I am very happy to say that I am a stop on the Blind Sight Blog Tour. 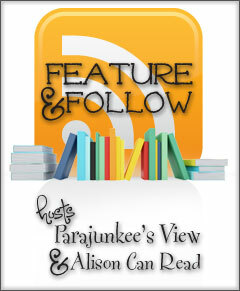 This is my very first blog tour and I am ecstatic to have a chance to help out. (Both books provided by the authors in exchange for an honest review). Rating: 3 TURTLES: An enjoyable read, but I suggest check out if you like the topic before adding it to your TBR. When I was first asked to read the Blind Sight novels for the blog tour, I was immediately grabbed the originality of the concept. I have read books where the point of view switches back and forth between characters, but never two individual books of different points of view telling the same story. After reading both, I would say that you don’t have to read both versions for the story to make sense, but you definitely understand more of the whole story by reading them both. 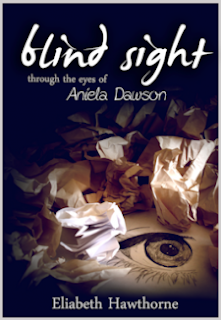 I started with Aniela Dawson’s point of view. While the story of Blind Sight is very interesting, I never really connected with Aniela’s character and found her bit annoying at times, so I did not enjoy her side of the story as much as I did Leocardo’s. Her side does have some interesting information that added to the story though. When I got to Leocardo’s story, the pages were turning quickly. His confusion of being swept off to mysterious Edaion really drew me in, and his concern to protect his sister from her gift. Blind Sight is an exciting story and with many questions left unanswered, I will be interested to see what the next installment has to offer. I love reading books with an element of originality to them, so even though I didn’t really connect with Aniela’s side of the story as much as Leocardo’s, I am still glad I saw her perspective of things. The chapter post for chapter twenty-three is over at The Book Addict. Check it out HERE! The chapter post for chapter 22 is over at The Anfractuous Bookaholic! Q. What was it like to publish your first book? Like sending your child out into the world. You’re proud of them and want to show them off and you hope other kids will like them. Q. How do you like being the first published author of World Weaver Press? It’s an honor to be their debut author, but it’s also a little scary. All that pressure for your book to succeed. . .
Q. Where do you find your inspiration for your stories? Anywhere and everywhere. These particular stories were inspired by a talent show accident, a train smothered in kudzu, a record album remembered from childhood, and vacuuming, of all things. I’ve had an off and on romance with writing ever since I graduated from high school, but I didn’t actually marry it until eight years ago. Q. Cursed’s stories all share certain themes, but are very different from each other, was there one you had the most fun writing? “The Accidental Poet” was quite fun because I employed limericks. Coming up with goofy, rhyming poetry that moved the plot forward was a seriously enjoyable experience. Q. Where can readers look to find your work? Back issues of Asimov’s Science Fiction Magazine, Beyond Centauri, Writers’ Journal, and Andromeda Spaceways Inflight Magazine. 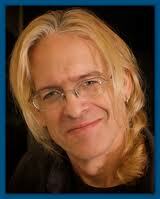 I’ve also been published in online magazines such as AlienSkin and New Myths. Q. What would you say is the ideal audience for Cursed? Young Adult Speculative Fiction readers and the young at heart. Q. What genres do you usually write? I write predominantly Urban Fantasy and YA Speculative Fiction, but have also written horror, fantasy, and science fiction. Q. What projects will you be working on next? I’m currently revising an urban fantasy novel titled THE WEREDOG WHISPERER. Think NATIONAL LAMPOON’S VACATION meets AN AMERICAN WEREWOLF IN LONDON. And I’m writing the discovery draft of a YA novel about the supernaturally challenged. Q: Have you ever looked at book’s cover and thought, This is going to horrible? But, was instead pleasantly surprised? Show us the cover and tell us about the book. That hasn't happened to me that I can remember, it may have but it isn't coming to me off the top of my head. There was a time when the opposite happened though, I saw the cover for Imaginary Girls before it first came out and fell in love with it, isn't it gorgeous? The synopsis was a bit vague, but I didn't think anything of it and the review snippet on the book trailer was really positive (but then again it would be). Anyway, when it came out I rushed off and bought it in hardcover, but it turned out actually - in my opinion - to be a bit of a dud. 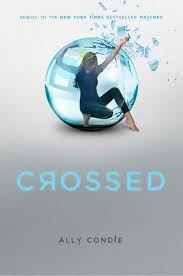 I finished it, and I didn't hate it with a passion, but it was very luke warm for me, and I don't dislike books I read often because I am choosy and usually start reading series after being recommended by a close friend or multiple positive blogger reviews, but I kind of disliked this one. I would love to hear what you guys all said! p.s. Happy International Women's Day! p.p.s. I already did this post when I remember a time that there was a book that I didn't read because I didn't like the cover "How to Train Your Dragon" I thought it would be corny and weird and to this day still haven't read the book, but when I saw the movie, I thought "oh my goodness this is adorable, I think I should have given the book a chance!" The chapter post for chapter 21 is over at the fabulous Fairytale Nerd! 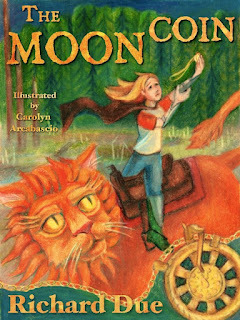 Today I am pleased to welcome Riachard Due (pronounced Dewey) author of The Moon Realm series to the blog! Q. When did you first know you wanted to be a writer? 3rd grade. The teacher gave the class group projects one day. Nobody in my group wanted to take charge. So, after allowing a suitable time to go by, and as I had an idea, I took charge. I put my best crayon man on illustration; my best ink man on lettering; we all covered for the useless dude who didn't want to do any work; and I took over storyboard layout, design, and story concept. Our book was a narrative mashup of us going trick-or-treating and The Legend of Sleepy Hollow. It was so boss my lousy teacher stole it and never gave it back. She was proud; I was incensed. Q. Which books/authors have influenced your writing the most? Wow! There are so many! I got the reading bug early. We didn’t have rechargeable reading lights when I was a kid, and my parents severely limited the my weekly allotment of flashlight batteries. So when they’d put me to bed, I’d ask them to leave my door open a crack and leave the hall light on. I told them it was because of the monster that lived in the closet (thanks, bro). But what they didn’t know was that I’d made a deal with the monster: no gobbling me up as long as I was reading. The closet in question had a pair of those big, double-slidy track-doors. Both the door to the hall and the closet doors were in one corner of the room that I shared with my brother. So in order to read my book by that crack of light, I had to lie down in front of those double doors. That first night took a great deal of faith that the monster would keep up his end of the bargain. Later, of course, I had to deal with my stupid brother stepping on me in the night on his way to the bathroom, and him ratting out my reading time to my parents, but that only taught me how to not fall asleep while reading. But to answer your question, the first book I remember being bowled over by was William Pène du Bois’s The Twenty-one Balloons. Later, in the fifth grade, a good friend of mine put a copy of Robert Heinlein’s Between Planets into my hands. What an AMAZING book. From there I hopped between the Lucky Star series, by Isaac Asimov, and The Undersea Trilogy, by Frederik Pohl and Jack Williamson, which led to Edgar Rice Burroughs’s John Carter, Warlord of Mars series. In the sixth grade, my other brother (not the closet-monster one), let me read his copy of The Hobbit, by J.R.R. Tolkien. He wasn’t quite as keen on my reading his copy of The Red Book of Westmarch (the beautiful, faux-leather, all-in-one book of The Lord of the Rings), but he let me just the same (thanks, bro). From there I found the Dune books, by Frank Herbert (the third one hadn’t come out yet—arg! The wait! ), and the Amber books, by Roger Zelazny (those were still being written, too! Talk about ripping hair from your head!). As a freshman in high school, I went to my other brother (the closet-monster one) and asked for a good book to read. He suggested some Mark Twain titles, but I’d just finished a Robert Louis Stevenson, Jules Verne, Lewis Carroll, Edgar Allan Poe tear, so I asked for something contemporary. He put a copy of Player Piano by Kurt Vonnegut, Jr. in my hand and changed my life forever (and all was forgiven). But those weren’t the only books that influenced me up until that point. Not to be missed were titles by Arthur Conan Doyle, Cervantes, Dumas, Dickens, Louis L’Amour, Zane Grey, and Shakespeare, to name a few. After the tenth grade and through college, I burned through all the Stephen King, John Ball, Dashiell Hammett, John D. MacDonald (Travis McGee series), Gregory McDonald (Fletch Series), a ton of Agatha Christie, and Matt Ruff’s amazing debut novel, Fool on the Hill. But it wasn’t until after college, when I opened Second Looks Books with my wife, that I really branched out my reading, catching up on a dump truck load of books that had somehow slipped past me: P.G. Wodehouse, William Goldman (The Princess Bride), Wilkie Collins (The Woman in White), Jonathan Lethem (Gun, with Occasional Music), Lord Dunsany, Michael Chabon, Neil Gaiman, Terry Prattchett, J.K. Rowling, Lemony Snicket. And I’m still being influenced. Still learning. Most recently by Michael Buckley’s Sisters Grimm series, Scott Westerfeld’s Leviathan series, and Michael Scott’s Secrets of the Immortal Nicholas Flamel series. Q. 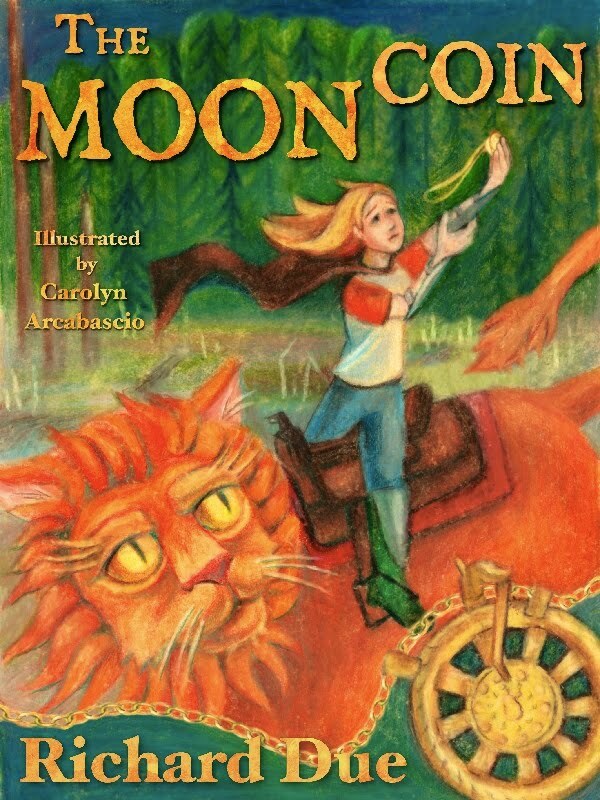 Was there a particular scene or character in The Moon Coin that you enjoyed writing the most? It was a several hour drive, dusting snow the whole way. While the miles passed, I starting laying the groundwork for the new chapter. Then I put it out of my mind until the ride back, when I worked on it some more. Around seven that evening, back home and exhausted, I thought I would jot down the outline. But instead, I wrote the whole thing in one go, stopping around one-thirty in the morning. I thought it was brilliant. The next morning, I reread it and thought it was terrible. Despondent, I put it away and didn’t think about it until shortly after New Year’s. I’d wanted to have it ready for the 2011 SCBWI Winter Conference in New York. Now I wasn’t so sure it was going to work out that way. But when I looked at it again, it didn’t seem so totally awful. My editor and I spent the next three weeks whipping it into shape. I was very excited to show it off at the morning and afternoon writers’ intensives. Sadly, it was soundly hated. In fact, an editor, agent, and several colleagues told me to cut Uncle Ebb. I was in shock. I think, that of the twenty or so people who read the first two pages at the intensive, only two people liked it (and they loved it; so much so that they came up to me afterwards and told me they thought everyone else was talking crazy talk, and not to change a word). At the time, I didn’t know what to think. But by that evening, my wife had made it to New York. Over dinner, we decided it was time to seriously consider self-publishing. Our feeling was that since the criticism was no longer making any sense, The Moon Coin must finally be ready. For the record, after I got back home, I sent out eighty more queries to agents and editors. I had lots of bites, but nobody offered me representation. Q. What is your least favorite part of being a writer? I love spending far too much time researching . . . Um, okay, seriously? I hate that writing isn’t my job. Writing is still just a hobby for me. I have to fit it in around my paying job. I’m so fresh in the mornings, but between getting the kids off, and house chores, and getting ready for work, I’m lucky if I can get more than sixty minutes to write. I’m more likely to have time in the evenings. Of course, by that time, I’m usually exhausted, mentally and physically. As a result, a lot of my writing is done when I’m not at my best. That’s my least favorite part. Q. What can you tell us about the next book in The Moon Realm series? The Dragondain, book two in the Moon Realm Series, puts Jasper’s character front and center. Lily still gets a lot of face time, she even gets to steal a few scenes, but I’ve always felt this was Jasper’s book. Ironically, just as Lily is attempting to reform her lying ways, Jasper is taking his first steps in the opposite direction. You see, Lily and Jasper are very much two sides of the same coin, each bringing a different set of skills to the party. While Lily is very big picture, Jasper’s expertise is getting through the here and now. Jasper really needs Lily to give him direction, and Lily really needs Jasper so solve certain tasks. But during their journey in the series, they’re both learning from each other, bettering themselves, and becoming better rounded individuals. Q. What advice would you give aspiring writers? Read the genre you want to write until your eyeballs fall out. Then put them back in and read some more. Repeat. Make sure your novel's word count matches the target genre you're writing for. And remember, first-time novelists don't—as a rule—get to break rules. If you think your novel is all finished, it isn't—get back to work. Repeat. When you finish editing it, and you're sure it's ready, print it out double spaced and edit it on paper. Repeat. Get thee to an editor, or do not pass go. Go to writers' conferences and take advantage of their workshops and writers' critiques with real live editors and agents. Join a local writers' group. Listen to criticism of your work. If one person in the group thinks you need to change something in particular, it's probably fine. If three or more people in the group think it needs to change, you've got work to do. On another note, I would like you to take a minute either to watch this video or look up what it represents. (I know it's really long, but it is worth it). Kony really is today's President Snow abducting children and forcing them to become soldiers, he needs to be stopped! Genre: YA, fantasy, greenpunk, dystopia, romance, adventure. Published in: 20 countries in Spanish and Portuguese. turning back as their fates had inevitably been sealed off. the desert, only to be rescued by her worst enemy. A young man marked by a curse. A village hiding the biggest secret ever to be kept. A love as dangerous as it is impossible. Sounds like a great read doesn't it? 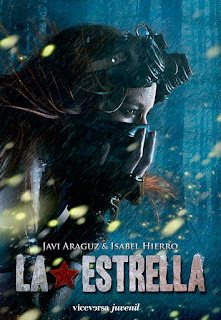 At the moment it is written in Spanish, BUT CLICK HERE TO PETITION TO HAVE IT TRANSLATED TO ENGLISH. It also has a truly awesome book trailer, and a making of the cover as well! I found this little message in my inbox this morning and thought I would share it with all of you! New York, NY (March 5, 2012) – World Weaver Press (Eileen Wiedbrauk, Editor-in-Chief) has announced the release of Cursed: Wickedly Fun Stories by Susan Abel Sullivan, their first speculative fiction collection as an independent publisher. Cursed: Wickedly Fun Stories is a speculative fiction short story collection featuring witches, werewolves, limericks that can change fate, and a sinister vine bent on murder and the destruction of Alabama. These stories draw in readers with their lighthearted tone and delight with their wickedly sly sense of humor. Cursed: Wickedly Fun Stories features pieces previously published in Andromeda Spaceways, Inflight Magazine, AlienSkin, and Beyond Centauri, as well as a never before published short. The digital edition of Cursed: Wickedly Fun Stories can be purchased online at Amazon.com, Barnesandnoble.com, and Smashwords.com. Susan Abel Sullivan lives in a Victorian house in northeastern Alabama with two dogs, way too many cats, and a ghost. When not writing she likes to get her groove on by teaching Zumba classes. 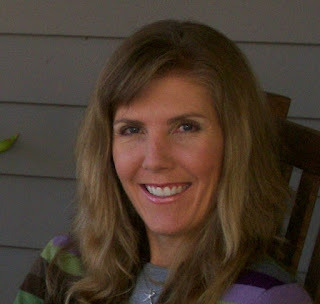 She is a graduate of the Odyssey Writing Workshop for speculative fiction. Her short fiction and poetry have appeared in numerous online and print publications, including Asimov’s Science Fiction Magazine, ASIM Best of Horror: Vol II, New Myths, Writers’ Journal, and others. 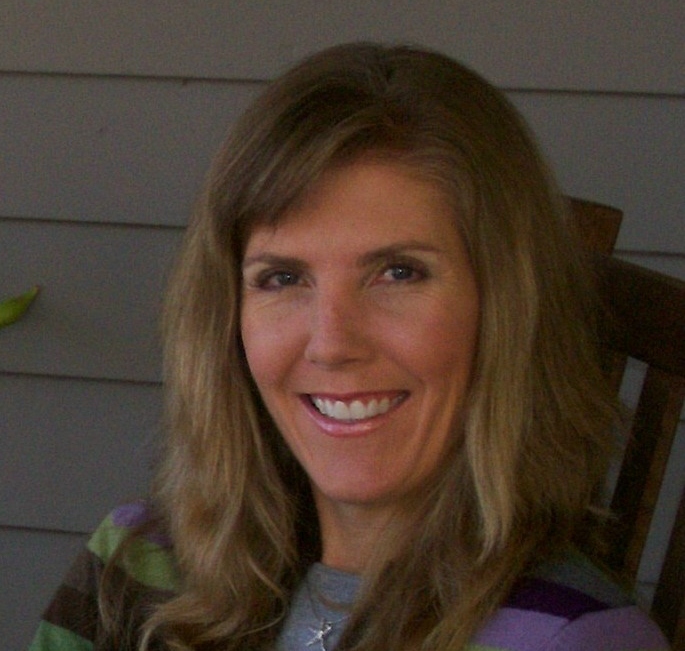 She is currently working on a YA novel about the supernaturally challenged. Visit her website at susanabelsullivan.weebly.com or twitter @susan_abel. The chapter post for chapter nineteen is over at Read. Breathe. Relax. Go check it out HERE! Today the chapter post for chapter eighteen is over at The Readers Heartstrings. Sarah over at Catching Books is celebrating 400 followers by having a giveaway! Follow This Link To Check It Out! I am not sure if any of you had heard of this guy before, but I just saw this awesome video today that summarizes all the news in the YA book world this week and just had to share it. A. Ok, this was already made into a movie, but in my opinion, the movie did the book no justice whatsoever, and that would be Eragon. I was really excited when it came out, but I felt like the movie makers did not honor the fans at all. I would love it if the Inheritance Cycle were made into a series like Game of Thrones or Pillars of the Earth. I think that TV series work very well for long books like that (or a four book series with four very long books as the case might be), because one season could easily have ten hours of footage, so they could be as true to the book as they liked without having to cut out major plot points for time's sake. What book would you like to be made into a movie or TV show? The chapter post for chapter seventeen in the Hunger Games Read-Along has been posted by Racquel of The Book Barbies. Hop on over to check it out!